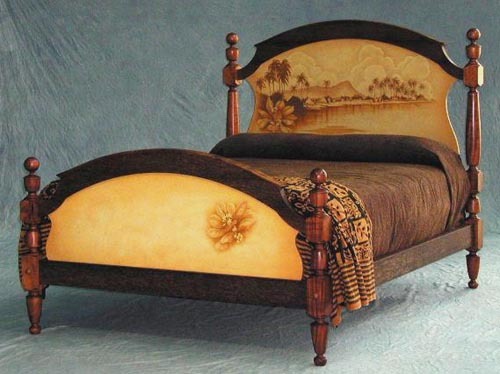 Queen size four post bed using coconut framing and koa posts and a painted scene of premissionary Waikiki. 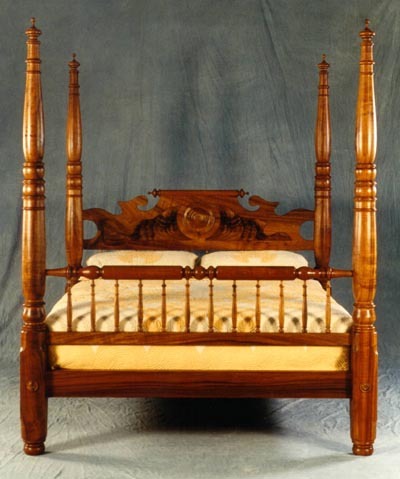 This California King has the same headboard & footboard design. 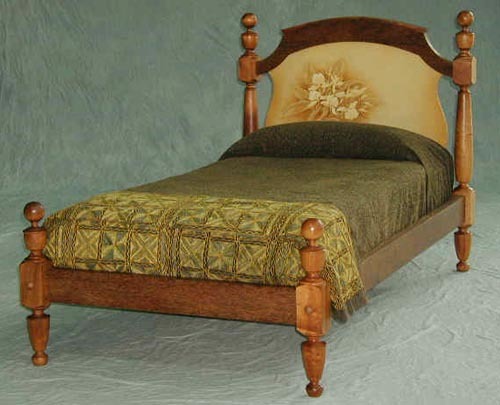 Twin size four post bed using coconut framing and koa posts. Comes with headboard only. Twin headboard panel with white ginger bouquet. 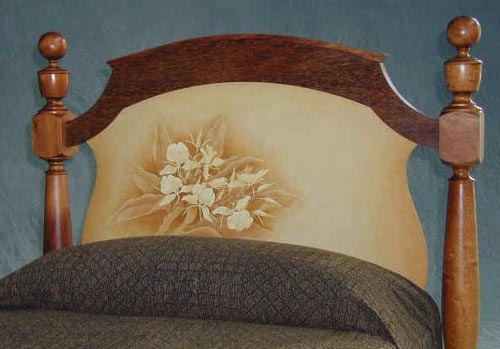 The headboard panels will be offered with different Hawaiian scenes and flower bouquets as standard art. Custom art will also be available by the same artists Georg James & John Dinsmore. The panels will also be available in other materials such as woven hala and bamboo. More samples will be posted once they are available. Post are 5 1/2 x 5 1/2" x 8'-3" turned as one piece from a match set of solid curly koa blanks -- very rare. 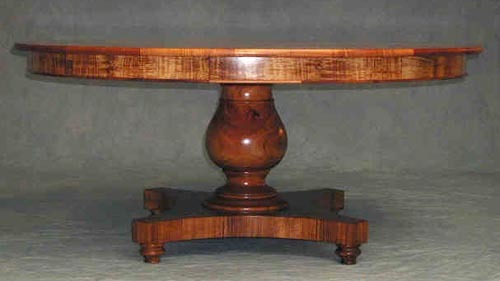 Laminated koa post are also available. Close up view of head board. 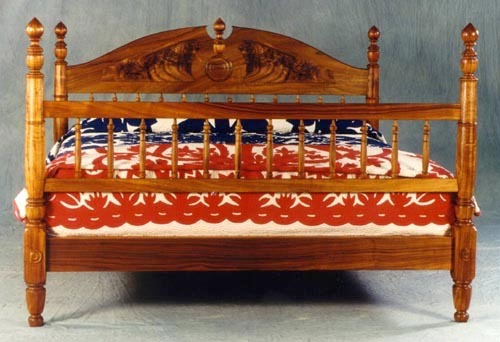 One piece head board with crotch wood appliqués and turned plate. 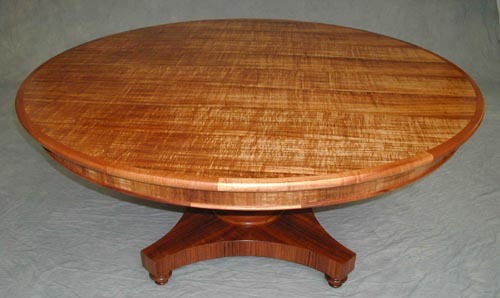 Fine curly koa veneer used in our tables.